Shop 167, 1/F, East Point City, Hang Hau, N.T. Shop 1084-85, L1, Metro City Phase II, Tseung Kwan O, N.T. Shop 46A, L3, Sha Tin Plaza, Shatin, N.T. Shop 316, L3, Metroplaza, Kwai Fong, N.T. Shop 222, L2, Metropolis Plaza, Sheung Shui, N.T. Shop 128-130, 2/F, Tsuen Kam Centre, Tsuen Wan, N.T. Shop 1035-1036, 1/F, Tuen Mun Town Plaza Phase 1, Tuen Mun, N.T. G/F, 118 Castle Peak Road, Yuen Long, N.T. 1. Our store will protect your personal Information in accordance to the relevant provisions of the personal Data Protection Act and in accords to HKTVmall Privacy Policies. 2. Photos are for reference only. Colour shown may be slightly different from actual products. 3. 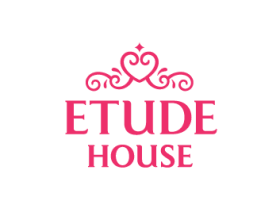 Price, promotion offers and other marketing campaigns on ETUDE HOUSE products at the HKTVmall may vary from retail stores, counters and official online store. The terms and offers are only applicable to HKTVmall. 4. Gifts are assigned with limited quantity only. Valid until stock lasts. 5. In case of any dispute, Etude House Hong Kong will retain the right of final decision. 1. Orders will be delivered by HKTVmall, please refer to the Shipping Information for more details. 2. Due to hygiene reasons, we do not accept returns for all items. 3. In case of any legal dispute, the decision of HKTVmall shell remain final. ETUDE is the friend of all women to dream of sweet lives. Where everyone discovers beauty within and the sweet imagination of being beautiful becomes a reality - that is the dream of ETUDE. Enjoy the pink energy of ETUDE with a happy, bubbly heart! As you play with makeup with a bright smile, your boring life will sparkle with sweetness before you know it.